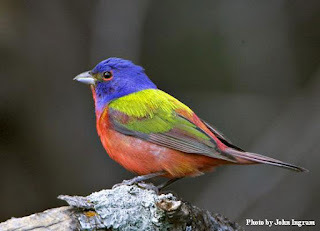 My favorite bird, the Painted Bunting, has returned to our place. 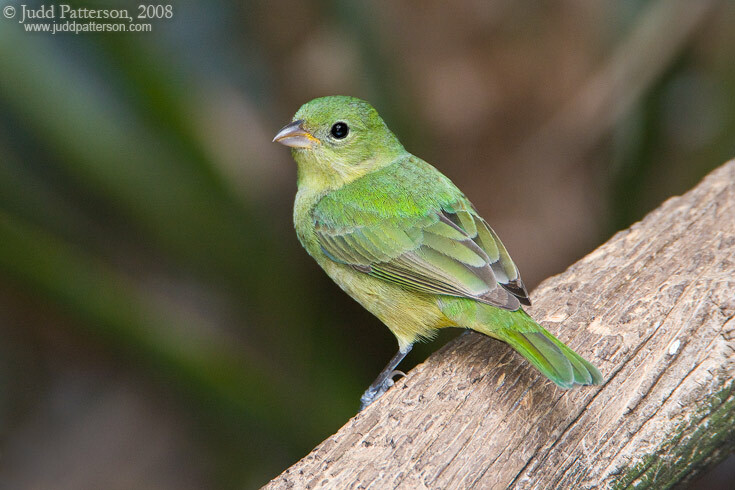 I love watching the male (as shown above) flitting about our new birdfeeder, patiently waiting his turn to feed. The rainbow colors of his feathers are breathtaking. I also love the female's beautiful green feathers.